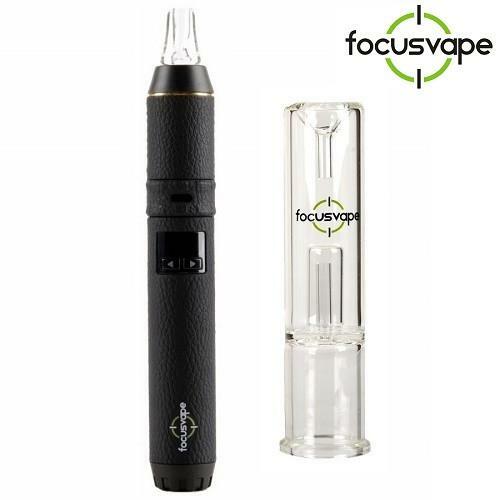 The FocusVape Pro-S is one of the vape world’s newest unsung heroes, packing all the most essential features necessary for a top-quality portable dry herb vaporizer with notably durable construction. Ease of use, powerful battery, and high-quality components make this vaporizer beyond satisfactory for the most discerning user and an easy-to-use choice for the novice. Our FocusVape Pro S review must begin by applauding the designers on the update of this dry herb vaporizer. They kept a good thing going by updating the already-solid design of the original Pro model and adding an adjustable temperature feature–replacing the preset temp setting from the FocusVape Pro. Pair that with the easy twist variable air system, and you’ve got full control for finding the sweet spot for that perfect vapor quality. The mouthpiece is composed from high-quality pyrex glass which means cooler vapor and only premium materials. The deep, combustion-free chamber presents a longer-lasting, purer vapor performance comparable with the market’s best dry herb vaporizers. The Premium kit comes with a pyrex water bubbler attachment that can be purchased separately. It delivers an even cleaner flavor to the vapor, making the Pro-S a viable stay-at-home vaporizer. The Pro model comes with an original LG Samsung 3,200 mAh high-drain battery, 5-pin micro-USB charging cable, convenient packing tool and cleaning brush, 3 additional screen filters, and spare glass mouthpiece. If you need a place to store all those accessories, a good rolling tray can help you get organized while also giving you a place to prepare your dry herb. The Premium kit includes a water bubbler attachment, otherwise sold separately, that attaches to the Pro-S model. The bubbler attachment is a great add-on for when you’re not pressed for time, and are looking for elevated vapor flavor and density. Both kits also come with a rubber mouthpiece cover to protect the glass mouthpiece when the unit is not in use–very convenient as we all know what happens with glass pieces! 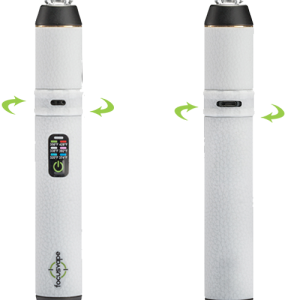 The FocusVape Pro-S features a fully adjustable temp control system, ranging from 176-464 degrees Fahrenheit (80-240 degrees Celsius). 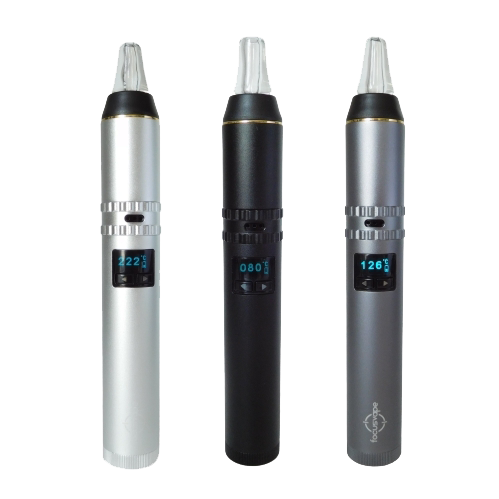 The variable temperature control is adjustable in single-degree increments, as opposed to preset temperature settings of the previous FocusVape Pro. This is all expressed in a very attractive and easy-to-read OLED display. Being able to control the temp by degree is a major upgrade from the last version; experienced vapers are well aware of the importance of dialing in the ideal temp for your tastes. The auto-power off feature sets this unit up with an 8-minute cycle; 5 minutes of this cycle is the oven working and the 3 minutes following is sleep mode before the Pro-S powers off. The memory data function automatically defaults to the previous temperature setting last used. This is signified by the haptic vibration function, which lets the user know when the desired temperature has been reached. These are incredibly smart features for a dry herb vape at this price point. The Pro-S model is constructed with durability and superior vapor quality at the foundation of its design. It’s a rather weighty model in comparison to other dry herb portable vaporizers, weighing in at a solid 180g with a 172 x 23.6 mm frame. The power on/off and variable temp controls are conveniently integrated together, a third of the way to the top of the unit expressed as two left/right buttons below the OLED display. The Pro-S is very easy to use, you just unscrew the mouthpiece, fill the exposed herb chamber, rescrew the mouthpiece, and you’re ready to go. A quality herb grinder like the SLX makes filling the Pro-S even easier plus it allows you to control the density of the dry herb allowing further customization of the vaping experience. The water bubbler attachment is similarly simple to use since it easily snaps onto the top of the Pro-S. 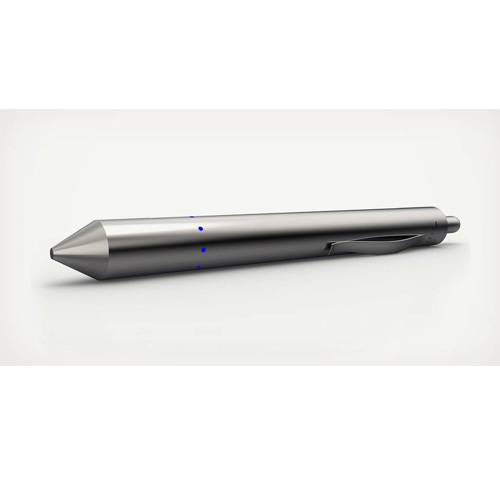 Overall, the Pro-S is an easy to use, pick up and play vaporizer. 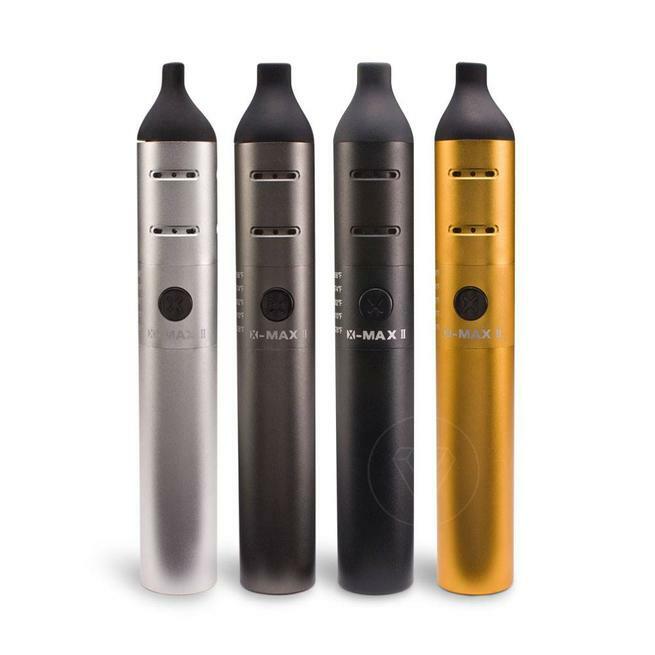 The Pro-S has a special glass mouthpiece that cools down, and keeps impurities out of, your vapor. Those qualities help to give the vapor a flavor that is clean, cool, and rich. If that is not good enough for you, the water bubbler accessory delivers a flavor that is even cleaner than the default Pro-S. The deep ceramic chamber holds significantly more botanical herb than the majority of comparable portable units. That makes for a longer-lasting vapor session depending on the user’s desired temperature setting. The oven provides such a clean bake that cleanup is very easy; the included cleaning brush is rarely needed between sessions. The advanced weight of the Pro-S is not exactly ideal in comparison to other pens of this type, yet we can appreciate the unmatched durability this construction provides over its competition. Even at its highest temperature setting, heating time is a convenient 20-30 seconds, which is ideal for on-the-go sessions. The Pro-S has an 18650 mAh battery that lasts up to an hour. The battery is removable in addition to being rechargeable, making the Pro-S very convenient since you can carry spare batteries when recharging is not an option. The FocusVape Pro-S is a high quality vaporizer that delivers impressive flavor quality while being simple to use. It offers more convenience than many of the best dry herb vaporizers on the market because of its removeable and replaceable battery. It’s a great choice whether you want to vape on the go or you want a home session. The water bubbler is certainly worth the added benefits that it adds to the flavor of the Pro-S. However, the flavor of the basic Pro-S is strong enough that most users can go without it. 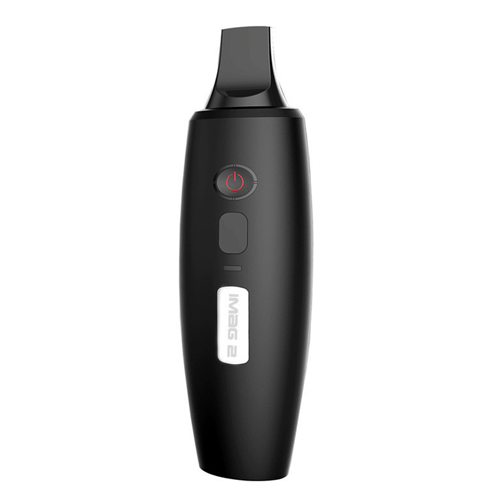 Ultimately, the Pro-S is a great choice for vapers who want a portable dry herb vaporizer that delivers excellent flavor quality and is easy to use. It’s a great choice for novice and experienced vapers alike.